Inspired by the original shape of the legendary "Omega Pilot's Line" (Flightmaster 1969), the OMEGA Spacemaster Z-33 combines a classic and instantly recognizable design with a brand-new multifunction quartz movement. Adding to the timepiece's allure is its grade 5 titanium watchcase. 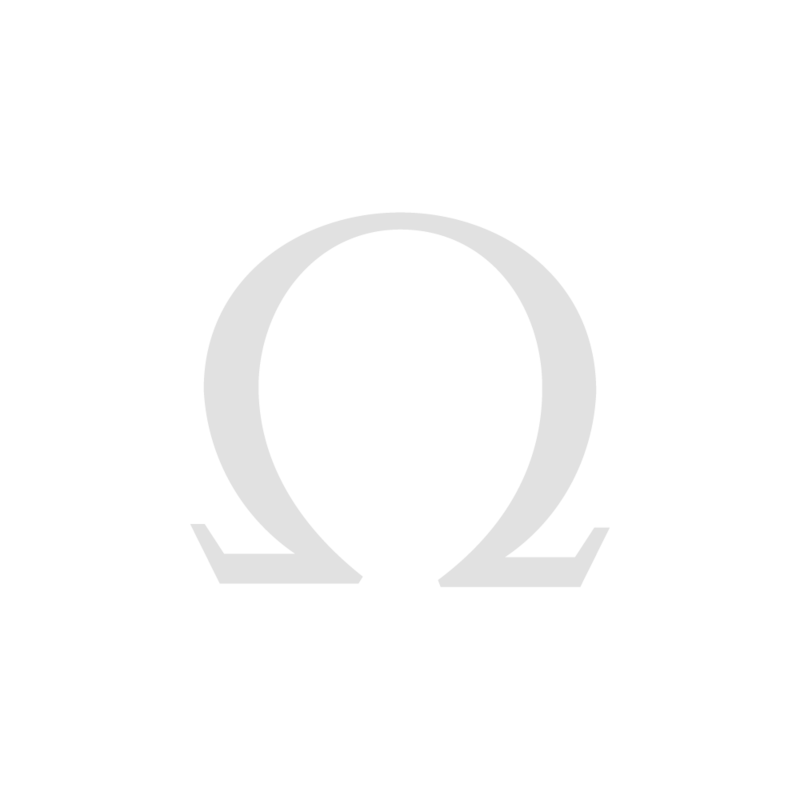 "The OMEGA Spacemaster Z-33 : welcome to a world of discovery !" The black LCD screen with red segments is illuminated by the LED backlight which adapts automatically to ambient luminosity. Night legibility is impressively facilitated by the strong luminescent material on the large white hour and minute hands and the hour markers on the dial. 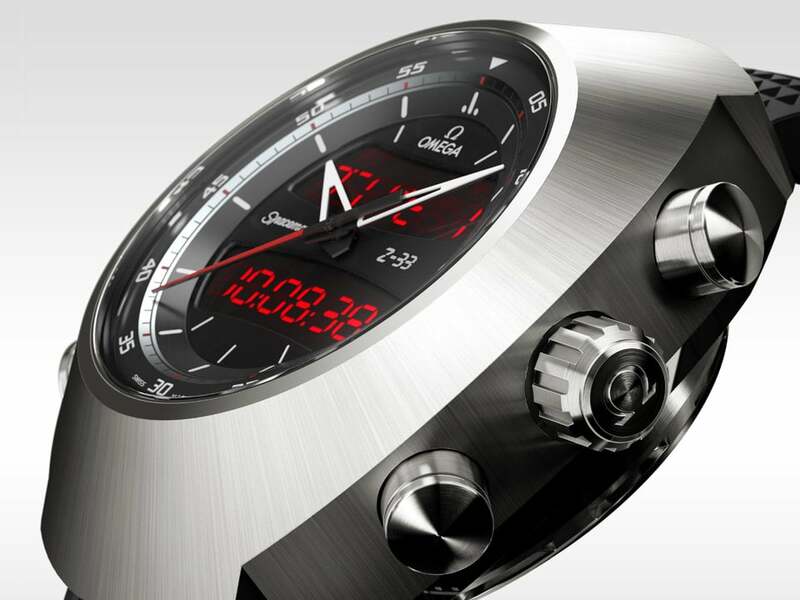 Continuing the watch's high-tech feel is the titanium casebody with a double-wall caseback. 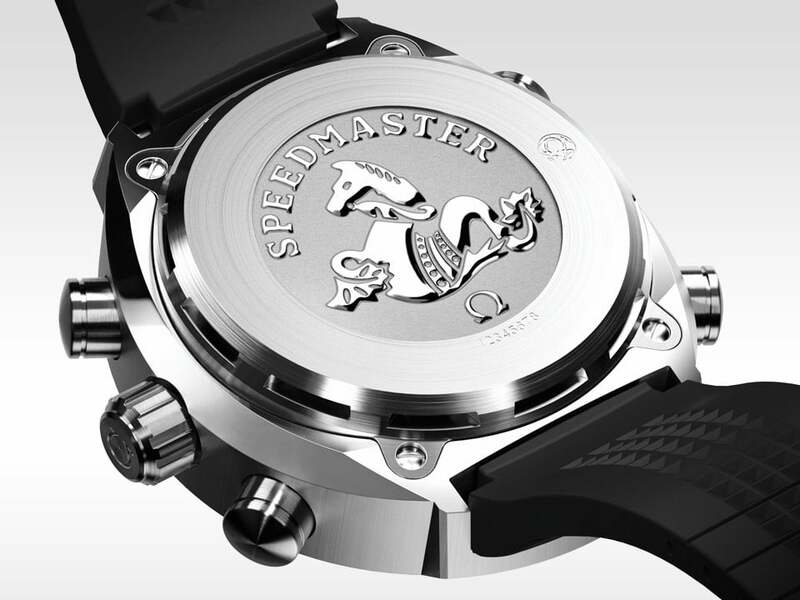 The inner caseback ensures water resistance to 3 bar (30 metres / 100 feet) while the outer one acts a resonance chamber to amplify the sound of the alarm. It features a brightly polished Seahorse, ‘Ω’ and ‘Speedmaster’ inscriptions against a mat background. 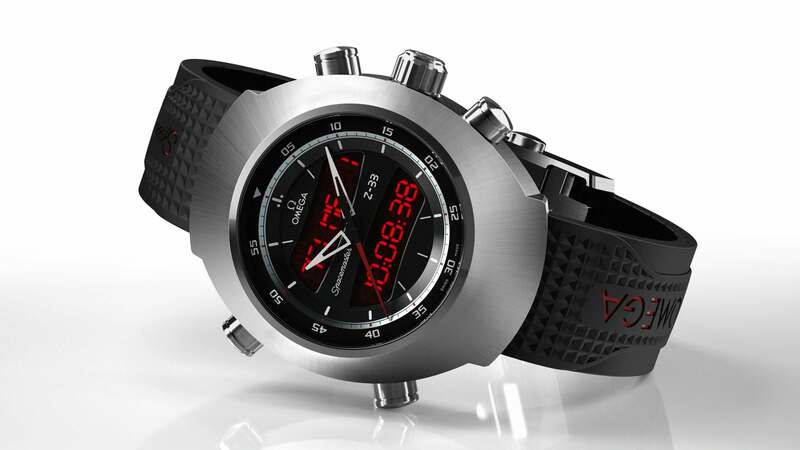 The Spacemaster Z-33 is available with a black rubber strap with the inscriptions ‘OMEGA’ and ‘Speedmaster’ in red, a brown leather strap or a grade 5 titanium bracelet. It is secured by a foldover clasp engraved with the OMEGA logo. Complementing the analog hour, minute and seconds hands, the digital features can be controlled by the crown and by four pushers. Among these are UTC plus two time zones, an alarm and a perpetual calendar. 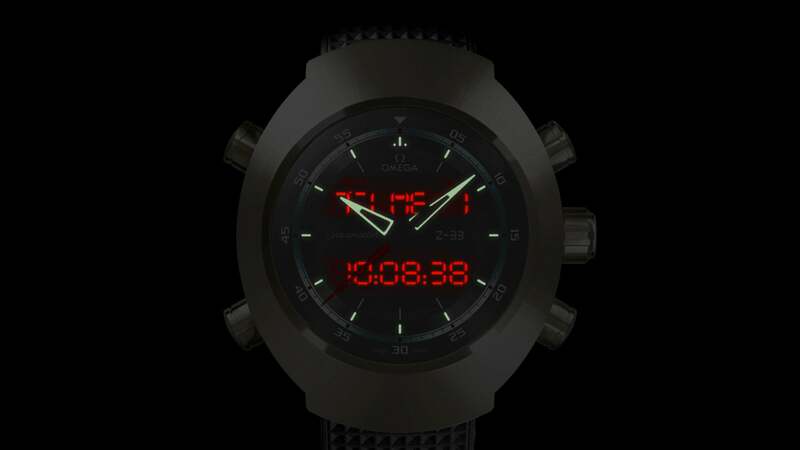 There is also a chronograph function and a countdown timer. 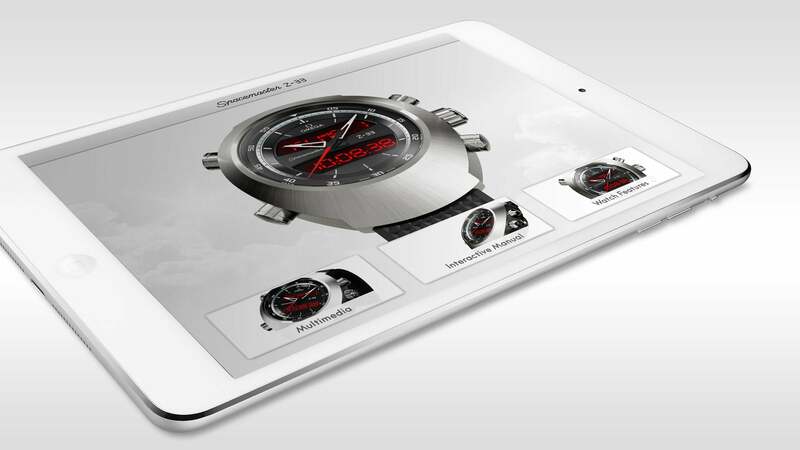 Explore the digital functions of the Speedmaster Spacemaster on our interactive iPad app.